With the typically changeable spring weather in mind, James Whitaker, Marketing Director at Dickies Workwear, offers tradesmen the following five tips on how to dress for whatever Mother Nature might throw at them over the coming season. “While we may have finally put the cold winter behind us, springtime brings its own unique set of challenges. April showers can quickly give way to unseasonably warm spells and tradesmen working outdoors need to cover all bases. Keeping the cold out may be less of a priority in spring, but keeping dry – without overheating – can be a real challenge. When choosing outerwear in particular, go for workwear featuring breathable fabrics. For example, our Dickies Pro range includes a jacket comprising three layers of fabric designed to offer comfort and protection while working outdoors. The jacket’s outer layer is waterproof, hard wearing and breathable – stopping rain and wind from getting in while allowing moisture to ‘breathe’ out. It may sound obvious, but on days when the temperature rises considerably between early morning and late afternoon, layering is key. Consider options such as the Atwood t-shirt as a starting point – this forms part of Dickies’ thermal baselayer range, but the iconic Dickies logo and contrasting seam stitching make it a stylish option in its own right. While summer may still seem a while away, spring sunshine can be deceptively strong. Today, we’re far more aware of the importance of wearing sun protection and this should extend to your clothing. 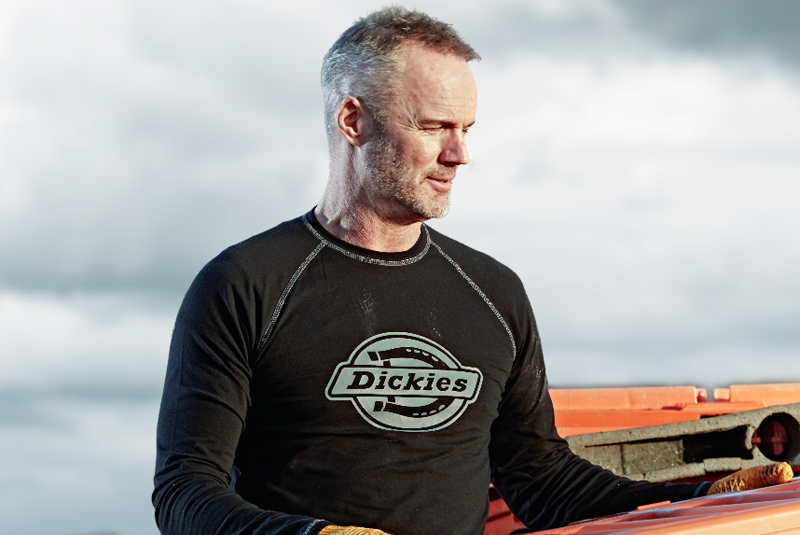 The Dickies Pro range includes a t-shirt offering UV protection, plus it features Coolcore fabric for that all important moisture regulation on warmer days. Three-quarter length trousers come into their own in spring when a full trouser feels too much, but you’re not quite ready to commit to shorts. The Dickies Industry ¾ Trousers are designed with all the quality, strength and durability of the Industry 300 Trousers and are particularly popular among those looking for an option to keep them cooler when working outdoors on milder days. Previous : Should frozen condensate issues prompt a regulatory rethink?